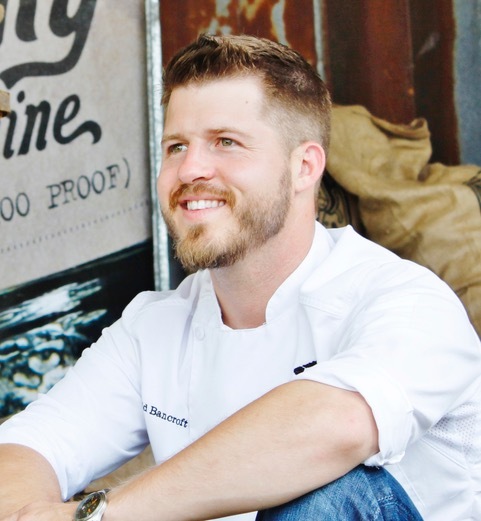 David Bancroft is Executive Chef/partner of Acre Restaurant in Auburn, AL. Acre opened in August 2013, a joint venture with family and close friends. Born in Alabama but raised in San Antonio, TX, David’s passion for cooking began at an early age, smoking brisket and making BBQ. He also spent some time in coastal Louisiana, serving as a deck hand in the Chandeleur Islands. David returned to his Alabama roots to attend Auburn University’s School of Business. After being selected as “kitchen steward” for his fraternity, he was inspired and ready to begin his culinary career in the restaurant industry. David is a self-taught chef, farmer and forager who showcases the sustainable ingredients provided by local farmers and fisherman in Alabama. He also tends to three on-site gardens, reinterpreting the rich heritage of Alabama cuisine. Acre is wrapped in edible landscapes designed to provide fresh seasonal harvest used to create delicious offerings which change daily, depending on what is ready on the urban farm. Fruit trees are surrounded by berries and fresh herbs. The on-site vegetable garden provides guests with both heirloom and newly introduced varieties of produce which is harvested, prepared and served immediately. His commitment to the Alabama farming community has earned him recognition on local, regional and national platforms – most recently, Garden & Gun, Southern Living, Taste of the South, ESPN, USA Today, CNN.com and many more. To further his philanthropic contributions, David founded, planned and executed the Alabama Oyster Social, whose primary goal was to raise funds for Alabama oyster farmers. Now in its third year, the Social has gained invaluable support from nationally recognized chefs and restaurateurs.